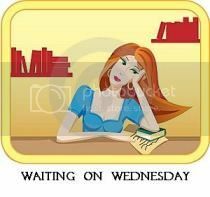 Waiting on Wednesday is a meme hosted by Breaking the Spine that spotlights upcoming releases that we’re eagerly anticipating. Blurb from Goodreads: Things are getting desperate for Maya and her friends. Hunted by the powerful St. Cloud Cabal and now the Nast Cabal as well, they’re quickly running out of places to hide. And with the whole world thinking they died in a helicopter crash, it’s not like they can just go to the authorities for help. With all the twists, thrills, and romance that have made Kelley Armstrong an international bestseller, plus the surprising return of some fan-favorite characters, The Rising will hold you under its spell long after the breathtaking end. 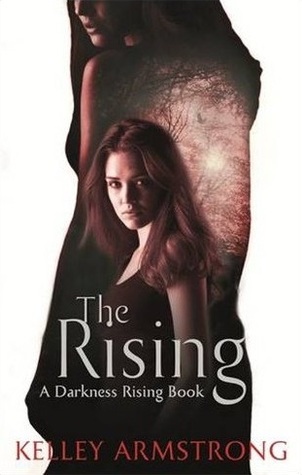 I don’t have many favourite authors, but I can say for sure that Kelley Armstrong is one of my favourite authors. I love her writing style and I love all her books (okay that is in fact not true because I haven’t read the Nadia Stafford series yet). I really love the Darkness Rising series, what makes this series special for me is the location. If you remember my post for the girly blog tour about Locations, you know that I love the nature setting of this book. I also love how the true natures and powers of the character stay secret until later in the series. Actually so much stays a secret and I can’t wait to find out what happens in this book and which secrest will be uncovered. Oh heck yes..i got this baby pre-ordered! Me too :). I can’t wait to read it! I am thinking of re-reading the second book before this one comes out. I will go and check out your blog :). If I re-read it I will send you a e-mail or something to remind you of what happened. I still remember the main points, but I am sure I forgot lots of small things. I still haven’t started this series, but it’s been on my wish list for a long time! I hope to read it soon! You really should read it, it is an awesome series! So far I enjoyed all the books I’ve read by Kellet Armstrong, I still have to read the Nadia Stafford series, but although I own both books for some reason I just don’t read them. Nice cover. I really enjoy Kelly Armstrong’s Adult books a lot. Good WOW pick. I also really love her Adult books, but her young adult books are really good too! I haven’t read the first two books in the series but I’m really excited about them. I already have them on my to-read list and I can’t wait. Great pick! Enjoy reading it!